HTC Flyer To Get Android 4.0 ICS Update Before March? HTC recently released the Android 3.2 Honeycomb update for their HTC Flyer tablet, and now it would appear we have some information on when the Flyer will be getting the Android 4.0 Ice Cream Sandwich update. One owner of a HTC Flyer was told by HTC support in France that the Android 4.0 Ice Cream Sandwich update will be available for the Flyer before the end of quarter one, so that would mean March at the latest. 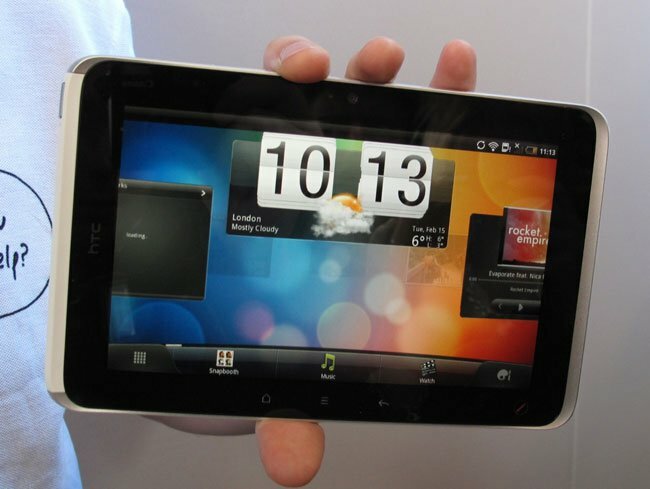 Of course we don’t as yet have any official word from HTC on exactly when the Android 4.0 ICS update will be available for the HTC Flyer, and until then this can’t really be confirmed. As soon as we get some details from HTC on when they intend to release the Android 4.0 Ice Cream Sandwich update for their Flyer tablet we will let you guys know. For more information on Android 4.0 Ice Cream Sandwich have a look at our Samsung Galaxy Nexus Review.